So earlier this week, yours truly popped in to have a sneak peek of GOSH’s new Autumn/Winter collection which includes three sets of eye shadow palettes containing 9 colours, 5 shades of grey nail polishes and giant blush sticks. I’ve been a huge fan of GOSH’s base range (BB creams, concealers, powders) for years so was excited to see what was to be pulled out of the hat this time. 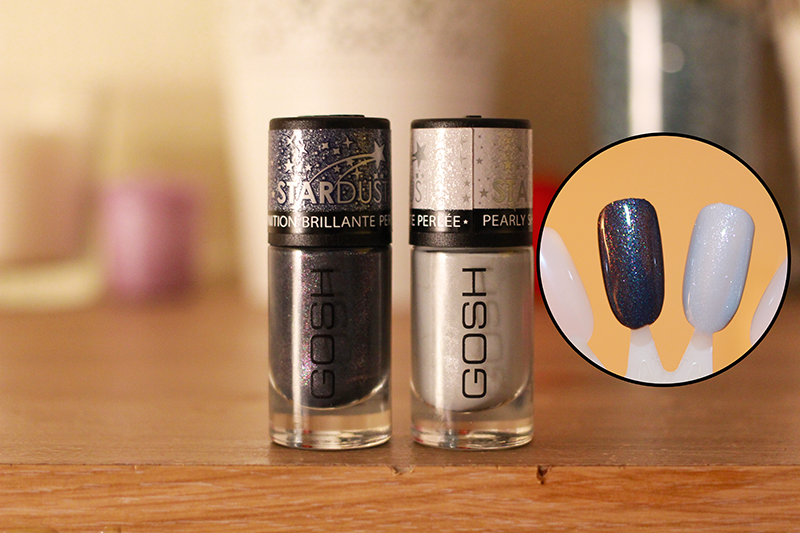 There are five new shades in the range, all a distinct shade of grey and with an almost holographic glittery texture. The two I have are 632 Night Sky (a gorgeous blue/black lacquer with flecks of iridescent shimmer that reminds me of the galaxy) and 628 Stardust (a milky white pearlised shade laced with glitter, both £3.99). 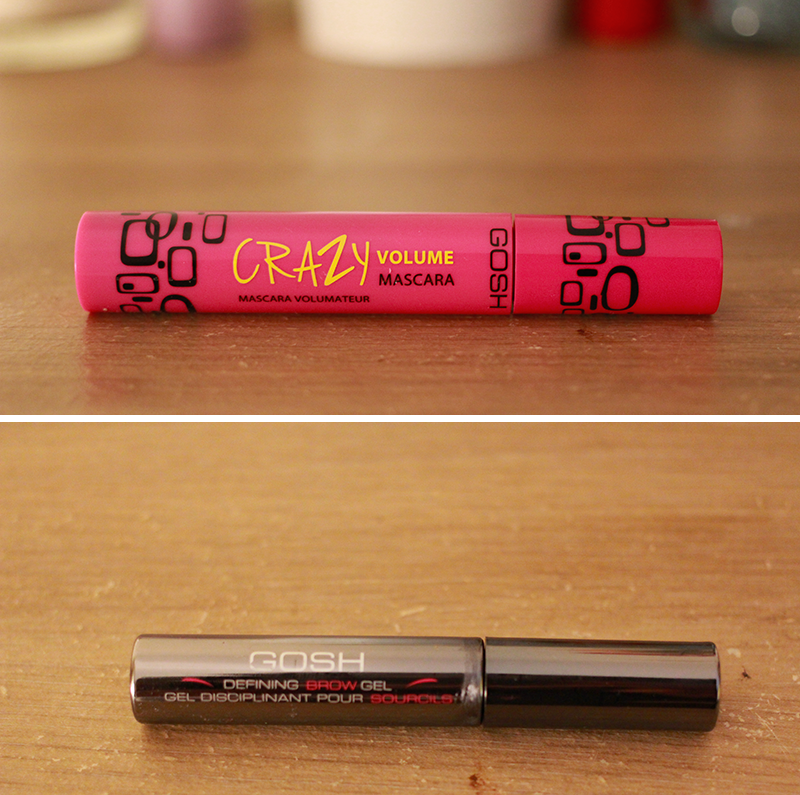 I’ve been on the hunt for a new mascara for ages so I actually cannot wait to try the Crazy Volume Mascara! The mascara promises no flaking or or clumping, and is perfume and paraben free. There is also the Defining Brow Gel which comes in three shades; brown, brown/grey and black. 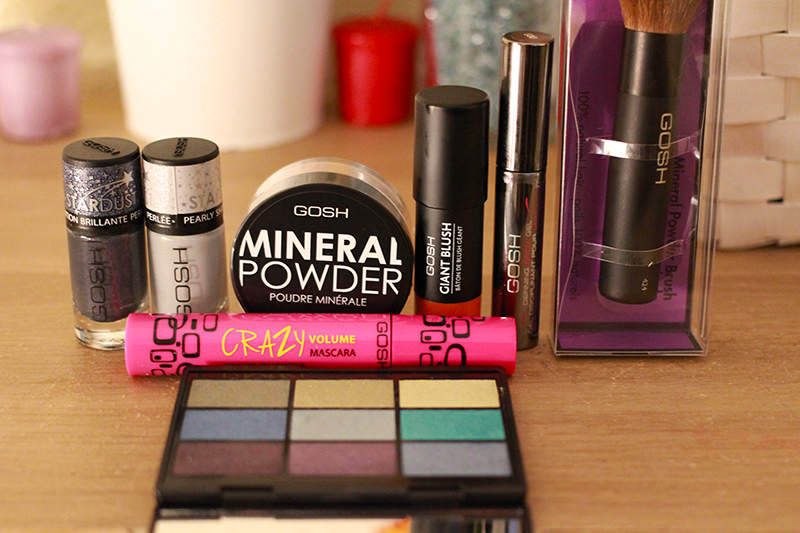 Next up, we have the Mineral Powder & Brush (sold separately) -I’m already in love with the mineral brush; SO SOFT. ALL THE SOFTNESS. ALL OF IT. Definitely a good’un for the minerals. 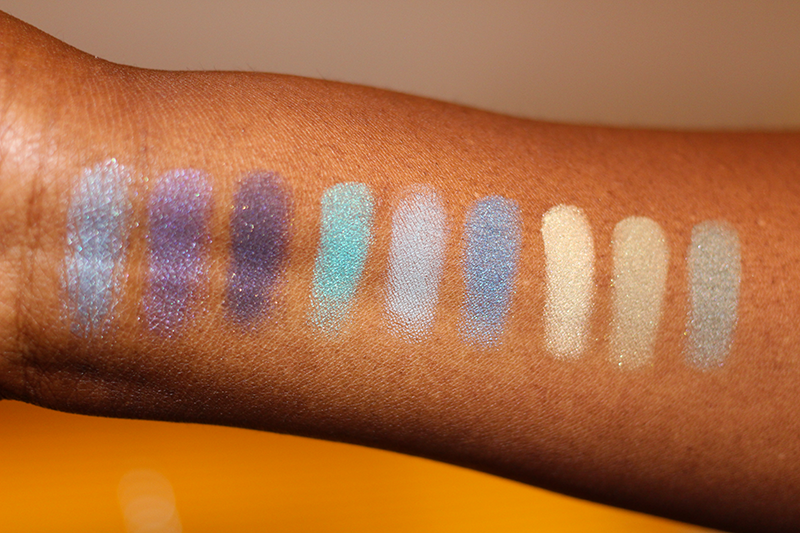 At the moment, there are only 4 colours available, but GOSH are pretty good when it comes to catering for darker skin tones so I expect there to be another release or darker shades some time soon. The powders are paraben free and contains titanium dioxide to protect against the sun’s rays. Onto something i’ve never seen till now; a blush stick! 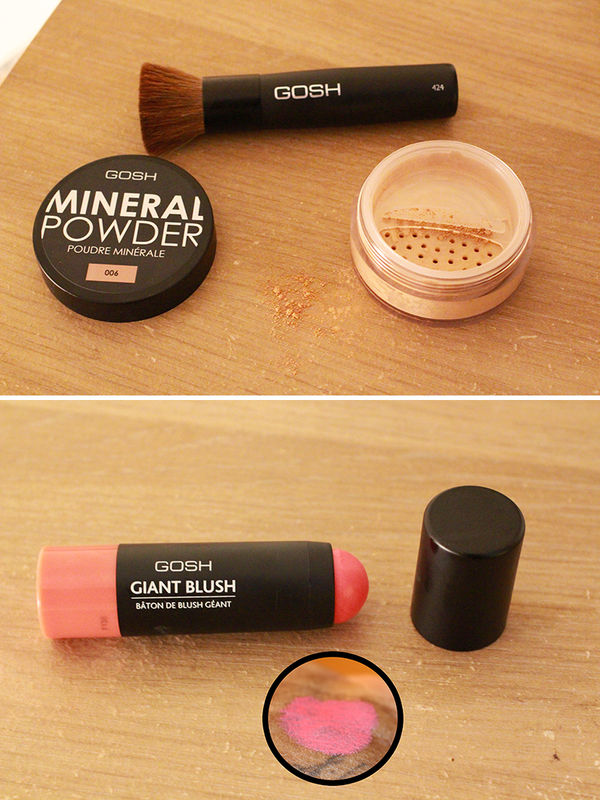 Called the Giant Blush (£6.99) it creates a cream-to-powder finish that feels light on the skin and is easy to blend. The handy stick makes for precise application and the pigmentation is amazing! The giant blush comes in three shades. GOSH are finally releasing 9 shaded palettes; each named after the three major cities in the US of A; 001 – To Enjoy in New York (nudes), 002 – To have fun in LA ( aqua based colours; as above) and 003 – To Play in Vegas (bright neons!). 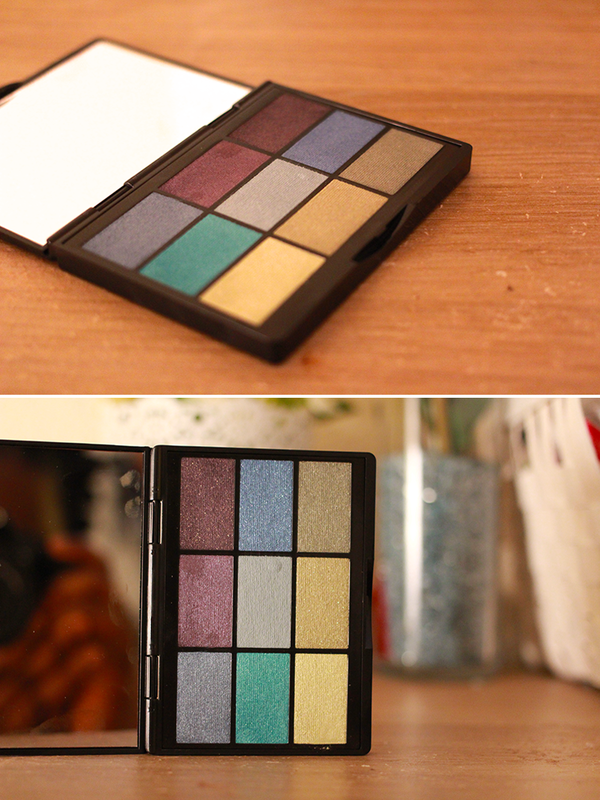 I’m very impressed with the pigmentation of these shadows; extremely pigmented and not chalky at all! The collection is out now online and in Superdrug stores nationwide. Previous Post Skin Chemists Instant Eye Lift & Amazing offer! Next Post Style | Plot Twist.